I am using an external podcast download tool to stay updated on all podcasts I subscribed to. For this purpose SubSonic is a good choice – actually for a lot more also. 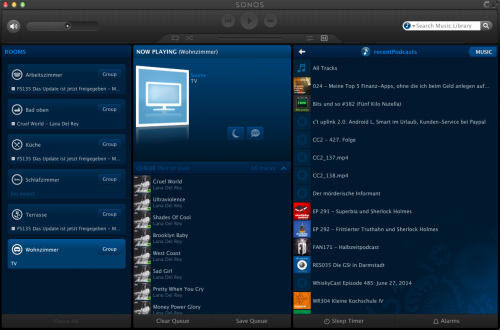 One of the quirks of the SONOS products is that Podcasts are not really well supported. In fact there is no support at all. So I wrote a tool that extends the SONOS players with the functionality to “remember” play positions within audiobooks and podcasts. 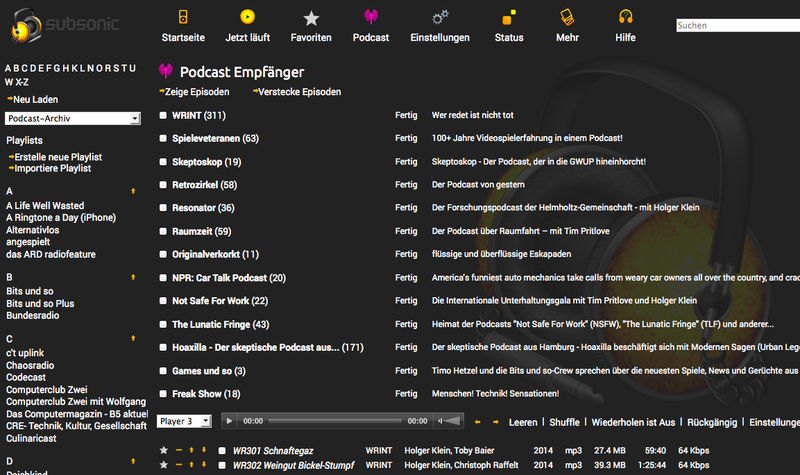 Now what’s left to properly have podcasts supported is a view of the most recently updated podcasts. Wouldn’t it be nice to have a “Folder View” in the SONOS controller of what’s new across all the different podcasts you are subscribed to? Use a small script on any RaspberryPi in the house to dynamically create hardlinks to the podcasts files in a “Recently Updated Podcasts” folder. This short line will go through all folders and subfolders in /where-your-podcasts-are/ and then create Hardlinks in /recentPodcasts to the most recent 25 files.